The onslaught of new “information” about food that we are exposed to each day is a double-edged sword. On one hand, reading and talking about health is an important part of making informed food choices, but on the other hand, all of the dramatic over-generalizations and glaring contradictions that inhabit food-related headlines and forwarded emails often overwhelm the folks who most need their information. With all of the warnings about the hidden dangers in our food, what can we ever feel safe eating? I believe that coming to a peaceful, confident place in your relationship with food is a necessary step to living a healthy life. I don’t think anyone can maintain a good weight or lifestyle through constant fact-checking or worry. So at the risk of ignoring some useful dietary advice, I think we all need to forget half of what we hear about food and keep things simple. Simple gets results, and simple lasts. Of course, making a simple change now can pave the way to make another simple change in a few months when the first one feels normal. So over time, it’s very possible to reach lofty goals with this approach. One simple change (though not an easy one) that I highly recommend is quitting soda (or “pop” for our friends in other regions). I doubt anyone has escaped reading at least a few frightening claims about soda, so I’ll make a research-based case here. What is soda? 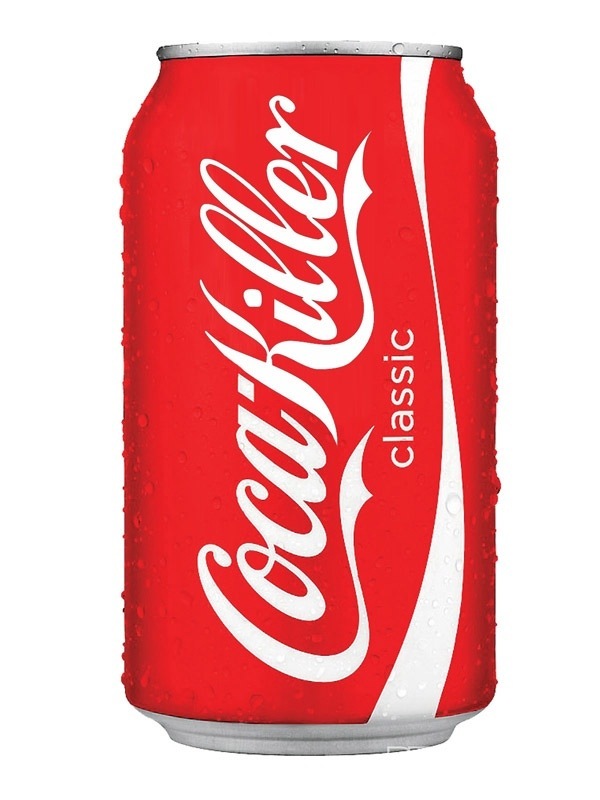 A carbonated drink, usually sweetened with high fructose corn syrup (or aspartame in the case of diet soda). Just upon basic observation we should be concerned. Sweets used to be reserved for desserts and holidays; sugar used to be a scarce resource. But all the sugar in the modern American diet has us addicted, and soda is the most popular way to keep the sugar flowing through our veins. Drawing comparisons between sugar and drug addiction may seem overly dramatic, but the similarities are real. Sugar stimulates dopamine receptors in the brain the same way that heroin and morphine do, and people who report feeling addicted to sugar often experience shaking and cold sweats when their sugar levels drop! There’s also been debate about the safety of supplying those sugar grams via corn syrup, a trend that began several decades back when government subsidies for corn farmers resulted in a huge surplus that needed a use. Converting corn into high fructose corn syrup is a bewildering scientific process which formerly involved hydrochloric acid, but which is now carried out by a series of bacterial and enzyme treatments administered to a corn slurry. Cane sugar in large amounts is bad news, AND corn syrup in large amounts is bad(der?) news. So what about diet soda? Sadly, diet soda does not seem to be a healthy alternative to regular. There has never been clear proof that diet soda consumption causes obesity and diabetes, but they are highly correlated, and consuming diet soda is definitively NOT associated with positive health outcomes. So even though no one has yet proven how bad it truly is, we know it’s not good. And the propensity to consume more calories throughout the day when sipping sweet-tasting diet drinks has been proven, so they are no friend to the dieter after all. Outside of the not-so-sweet realities of sweet drinks, soda is also home to a few slightly frightening ingredients, the presence of which in a popular food product is quite astounding. Phosphoric acid, brominated vegetable oil, and caramel color are all part of the experience of enjoying a soda, and if you drink it from the can, you’re also getting a hefty dose of BPA. Here’s a quick rundown on why you probably don’t want these compounds in your body. Phosphoric acid: Listed by CDC as a hazardous caustic chemical, it’s in soda to provide that tangy flavor (since it’s cheaper than citric acid). It’s used in low amounts, of course, but some research indicates that its presence in colas could be a contributing factor in the development of osteoporosis. Brominated vegetable oil: Several people have been hospitalized after consuming 2-8 liters of soda containing BVO. Their bromine levels were elevated enough to cause skin lesions, memory loss, nerve disorders, headaches, fatigue, and loss of muscle coordination, and the patients sometimes required dialysis to recover. Granted, most soda drinkers probably don’t consume 2 liters or more in a day, but it does happen. And would you want even a mild version of any of these symptoms? Caramel color: Causes cancer in rodents in large doses; recognized as a carcinogen. Jury is still out on whether or not it could cause cancer in humans with the relatively low dosage in soda, but it’s certainly possible. BPA: Bisphenol-A is an endocrine disruptor that got a lot of press beginning a few years back when it was banned from baby bottles and sippy cups, but the ban wasn’t extended to aluminum soda cans. Levels of BPA predict obesity even when calories and exercise are controlled for, so it appears people who ingest a lot of it are more likely to be obese even if they are making good choices in eating and exercise. It has also been associated with reduced sexual function in men. So what’s a soda drinker to do? Well I obviously don’t believe in any tortuous ‘cold turkey’ method of lifestyle change. But I do believe in really committing to it. So here are my suggestions for avoiding death-by-soft-drink. 1. Develop a substitute behavior! Drink something you really like that isn’t soda. Don’t go too extreme. Most “experts” say you should switch to sparkling water with a splash of 100% fruit juice. That’s great and all, but it’s not even close to providing the experience of a soda. I say go for something caffeinated, go for something sweet, whatever will get you through the day without a soda. Iced tea, mochas, fruit punch, whatever. You can always improve from there later. And although fruit juice provides sugar grams comparable to those in soda, it also provides isoflavones, vitamins, and occasionally fiber and iron. So it’s doing things for your body that help it work better, and when your body works better the sugar is not so dangerous. 2. Talk to someone regularly who also doesn’t touch soda. If you quit soda and everyone you know still drinks it, you’ll probably feel like a weirdo. Connect with someone who is doing the same thing and you’ll remember that drinking a concoction of acidic enzymed-corn cancer-in-a-can is weird, not not drinking it. Logistical issues are usually the culprit for healthy lifestyle fails, not a lack of commitment or good intention. You must make your substitute beverage available ALL THE TIME, because you know you can always get soda! Don’t set yourself up for that battle. And think up a few good excuses, explanations, or jokes to use when the inevitable negative response to your change comes up. At some point someone’s gonna hate, so be ready for it. Note: Responding to criticism with a long and passionate speech about the evils of soda will earn you many eye-rolls, but not a lot of friends. Don’t do it, no matter how strongly you feel! I love your avoid/self-deprecate/casualness comebacks! You are so right that trying to earnestly, long-windedly explain why you’re not eating something is like the worst idea ever. 🙂 I’m sure we’ve both learned that the hard way before!